Good value hotel right in the centre of Malaga within walking distance of transport links and local attractions. Clean rooms. Continental buffet breakfast was just right. Staff very helpful and friendly. 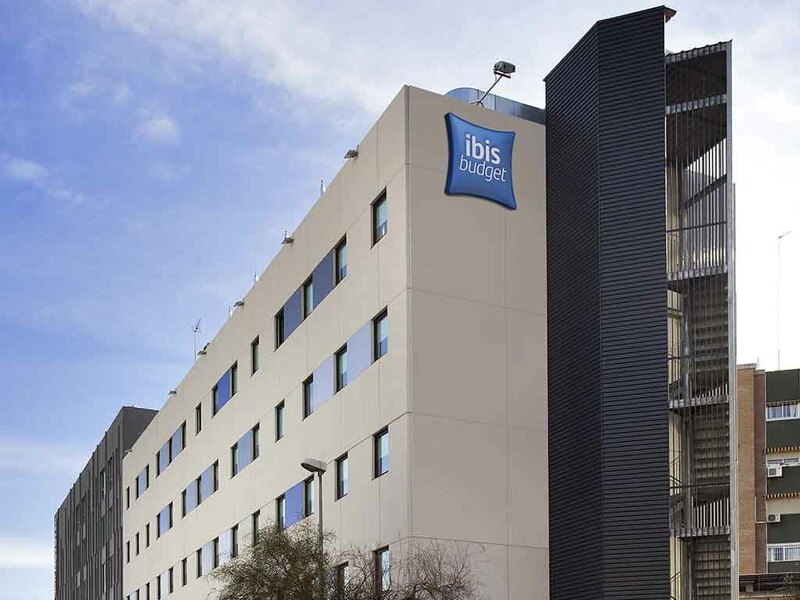 It is an Ibis Budget hotel, so as long as you don't expect any bells and whistles in the rooms, you wont be disappointed. we were very pleased with everything..checkin was smooth and ladies told us lot of information about malaga and sights. room was clean, comfortable bed. very good breakfast available till 11!!! amazing. also further help with luggage we left thete till 7pm. simply, one of the best ibis budget we visited. with superfriendly staff. thx again for great stay. Very pleasant stay as always. My husband and I spent a week here and we enjoyed the experience. The hotel is spotlessly clean and comfortable. The staff are brilliant and Monika is a great hostess. It is so convenient to town and I will recommend this hotel to my friends. A convenient, well maintained place to stay for a short break in Malaga. Very convenient, as we arrived by car and could park under the hotel, with access by lift directly to our floor in the hotel. The room was small but very well equiped and maintained. The centre of Malaga was a short stroll away. The staff in the hotel were helpful and very courteous. It was a great surprise to find such an affordable, comfortable, clean, nice hotel in the center of Granada. Also the staff was very helpful and kind. The only thing not so good was the lack of heating with a cold weather (which was surprising for the season). Happy, although a few shortcomings. The room was fine, although the bed I stayed in was not clean when I initially inspected it. The bedsheets had not been changed for my stay as I found a previous guests hair in the bed. I brought this to the hotel managers attention and they quickly rectified it. I was unaware the room had a shower which was clearly visible from the room. This made my stay unpleasant and difficult as I was staying with another family member. The location was great and the staff were all very friendly and happy to help. Nice and clean and fresh looking. Hotel was a 20min walk from rail station,you can do it in 10 min if you walk fast.Hotel is clean and comfortable staff very helpfull,cleaning staff are very good.Vending coffee from the machine is disgusting dont waste your money. would return again for sure ! Modern clean and comfortable budget hotel in the town centre close to the airport train. The bed was far too hard. Staff were friendly. Room whilst small, was clean and OK. But I cancelled a return trip because the bed was so uncomfortable - I'm used to the comfortable Ibis beds in the UK. This was a very hard unforgiving bed. The hotel is well placed in relation to the city, the rates are very reasonable, the staff are both charming and helpful. My wife and I have used the hotel before, we have no complaints whatsoever, and will return again to enjoy Malaga, the city of culture. Have stayed many times. Always fine. V good .....problem with mosquitoes! Good location,staff,comfortable bed and room. Nice breakfast. But,a problem with mosquitoes if window is even slightly open. I've always experienced this issue staying at this Ibis. Quick check in with helpful and bilingual staff with a sense of humour. Simple, clean rooms. Like the 12.00 checkout plus the possibility of a later checkout by paying a little extra. Luggage can be left after checkout. Can't comment on the breakfast as we went out every morning.